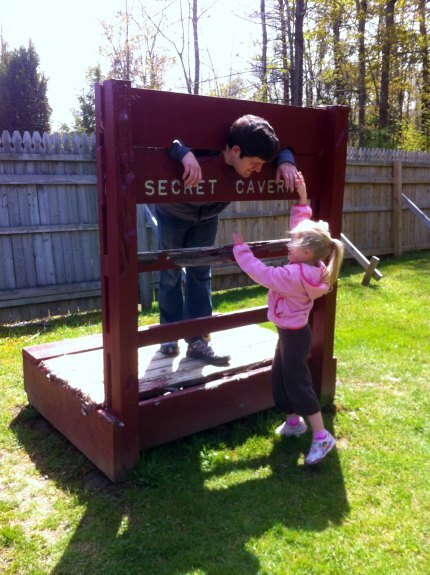 Our family loves exploring, and last year we decided to check out Secret Caverns in Howes Cave, located in Upstate New York (about 45 minutes from Albany). 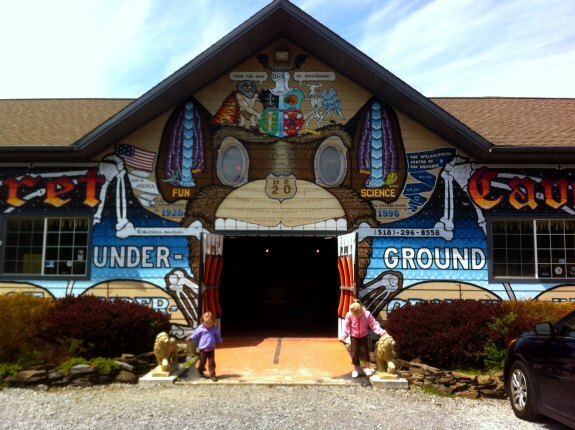 We followed a series of brightly painted signs to Secret Caverns, and parked by the main building, which is also painted vividly. Once we paid for our tickets, we embarked on our tour, which lasted just under an hour. 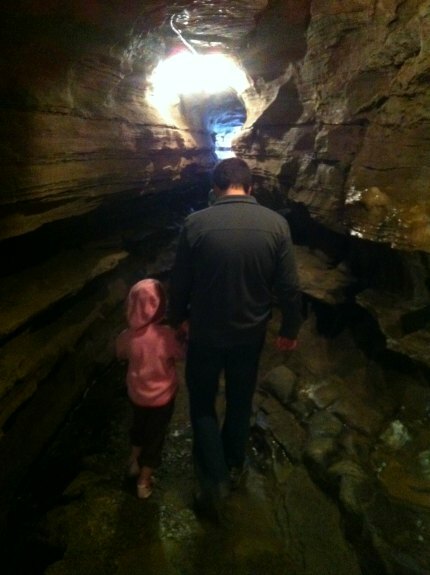 My kids were 3.5 and 6 at the time, and although it might be more suited for older kids as far as attention span and interest in geology and history, my girls still enjoyed exploring the cave. Kids under 6 are free, but strollers are not permitted. 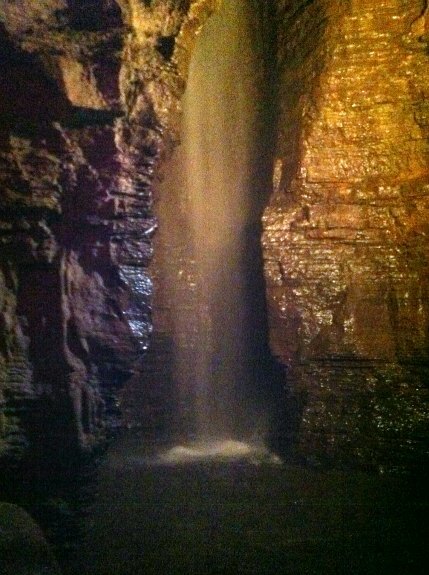 The cave is about 50 degrees F year round, so bring a jacket or sweater, especially for the kids. My kids had no problem walking around the caves, and they were not scared, as the cave has sufficient lighting throughout. There are many formations you can see and touch, and photography is permitted. This has not always been the case on cave tours, and the kids especially enjoyed being able to touch the cave formations. There is also a 100′ waterfall at the end of the tour. It is an impressive sight, and you can get a sense of just how powerful it is, as the sound of the waterfall is very loud. After the tour, you can check out the gift shop, which has lots of things to see, such as different artifacts and a variety of fun souvenirs. There are also some fun things to check out outside. For example, we were able to learn a little about the discovery of the cave in 1928 (by cows) before we started our tour. And of course, what tour wouldn’t be complete without pretending to lock up your dad in a stockade? 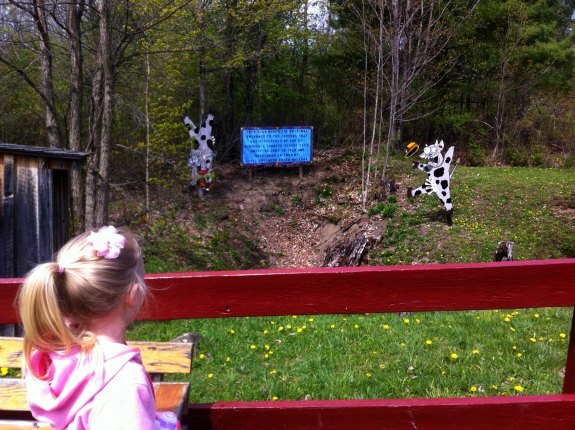 This was a fun family trip and an interesting and unique attraction. It was a nice place for the kids to explore while we also learned about the caves. Secret Caverns is open almost year-round, from April to December (be sure to check their website or call ahead to be sure they are open), so it is a good option when a lot of other things aren’t open. I would love to take my kids to a cavern. This looks like an excellent destination!